March 12, 2019: MARATHON WEEK 2 with cohost Paul Bruno!!! Burn it all down except for the pledges Nate. Hey Nate K - off to a power-blast of a start! Good luck raising the $$$ - STAY with Nate K & Paul Bruno and pledge!!! Hey Burners! It's going off tonight! Nate's final marathon show of the year! 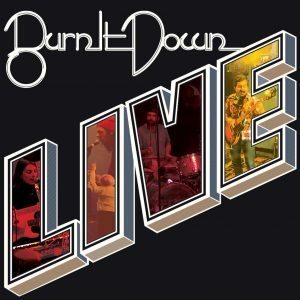 The last opportunity to show your support for Burn It Down! and all the effort Nate puts in to bring you the rock week in and week out! Dig deep, brothers and sisters! I don't think I do like Status Quo better, personally. At WFMU, we accept you! One of us! This Reigning Sound album is pretty much yours for the taking. Give a pledge of $20 or more at 1-800-989-9368 or online at wfmu.org. This may be a dumb question - who is the DJ on the Alexa video on the front page? Yes! Mr. Airplane Man! Thank you. TALK TO ACTUAL HUMAN PEOPLE! @Folsom - It's Stashu's friend SWIVS. Stiff Love is pretty good. Just be sure to have your image filters set when running a search for them. $20 or more to get in on the running for this seven-inch twofer from Neck Chop. nice Nate K & PB coolies ,,,, human people ! what am I chop liva !! @ken thanks for the info! I don't mind the all we want is money sentiment, why cheapen things with anything else? I would rather hear almost ANYthing over Rancid... tho I do luv some Op Ivy! I would rather have the 66 garage over 68 summer of love or grunge. 1990s indie Brit-pop indie shoegaze. Buried by the year that punk broke. But overall, I'll take the '60s (yes, especially garage/punk) over the '90s any day. How about Post-Altamont / Pre-Reagan Rein Of Terror? Now I'm thinking of that Dennis Hopper (I forget the name of the character he was playing) quote that never came true..."Once we get out of the ’80s, the ’90s will make the ’60s look like the ’50s"
@Bootsie I believe that line was from a sad little movie called Flashback. The odds are in your favor folks. A pledge of $20 or more and prizes are yours. you guys are killing it!! makin me want to give ALL my money! Guys, literally only one person is in the running for the Ramones grand prize. $75 or more gets you in the running for the next 70 minutes. The odds are in your favor! Fun fact: Vicious Circle was meant to be kind of point counter-point from side a to side b on straight-edge (the song Drug Free Youth and High Time) but nobody got it. aw man.... tues nite is not a usual wfmu listening nite for me, but that chris bell? who else plays that? jeezus. made ME call in and pledge. c’mon people! Well... I don't want any competition... BUT, I DO want people to pledge. So, PLEDGE, y'all! I haven’t seen those movies either, but, hey, who doesn’t wanna fill their mouth with marbles before speaking? Real talk, WFMU replaced a lot of my TV watching. The Brown Acids are killer! How many total in the series? Bootsie, I think they are up to 8? @Nate, ha! I just now saw our simultaneous comments. Great series, really. Free Ride was better. It was free.